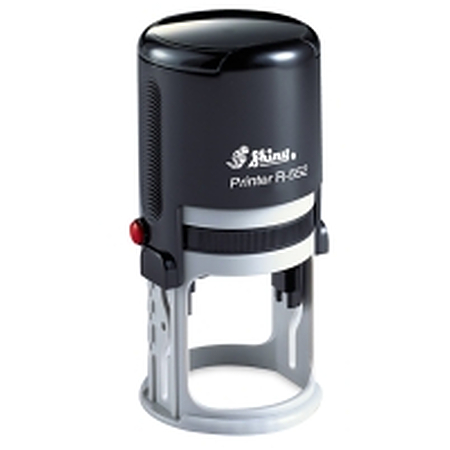 Shiny R532 self inking stamp. 32mm in diameter. Ideal for logos or your own design. Stamp pad comes in a variety of colours.